A spiritual journey through the senses of ancient clown. My path is not yours to follow, rather take what i have learned that you may find your own. In TRUTH, &quot;EVIL&quot; simply means; &quot;Live Backwards&quot;, both in presentation and definition. The rich like to accuse the poor of being lazy, but keep denying how they REFUSE to let them do anything, other than being a SLAVE.Without TRUTH, there is no JUSTICE.Without JUSTICE, there is no FREEDOM. to be sent to the Prime Minster of Canada. I read your reply and understand the principles, but still have a question. does he not have the right to ask you not to do certain things on his property. MY ANSWER: i do understand your question, as it's shared by many due to corruption...Like the Police enforcing human rights abuse instead of preventing it. That is why i shared that last *SPECIAL NOTE, in the post. Human rights entail both rights and obligations. States/cops assume obligations and duties under international law to respect, to protect and to fulfill human rights. The obligation to respect means that States/cops must refrain from interfering with or curtailing the enjoyment of human rights. The obligation to protect requires States/cops to protect individuals and groups against human rights abuses. Essentially, this means that even though it's a private business on private property, it is within the community and has to provide FULL public access, including for handicapped. That also means that unless i'm damaging property, or are a threat to myself or others, they are FORCED to remain OBLIGED to follow Human Rights Laws. By even Posting; "No BUSKING" they are showing discrimination against me. By (pre-meditated) meeting with Police to ensure enforcement of a non-law is Conspiracy. If i die...Conspiracy to Commit Murder. By simply moving and allowing that sign to remain i allow for it to follow wherever buskers go because there is no such thing as PUBLIC LAND....everything is Private Property now. Last year i posted a GIF image for people to share...alas, they did not. This year i posted a 1 minute video. To the woman, (i would have called you a Lady, had you been one), in the expensive white vehicle with the license 511-AWE. 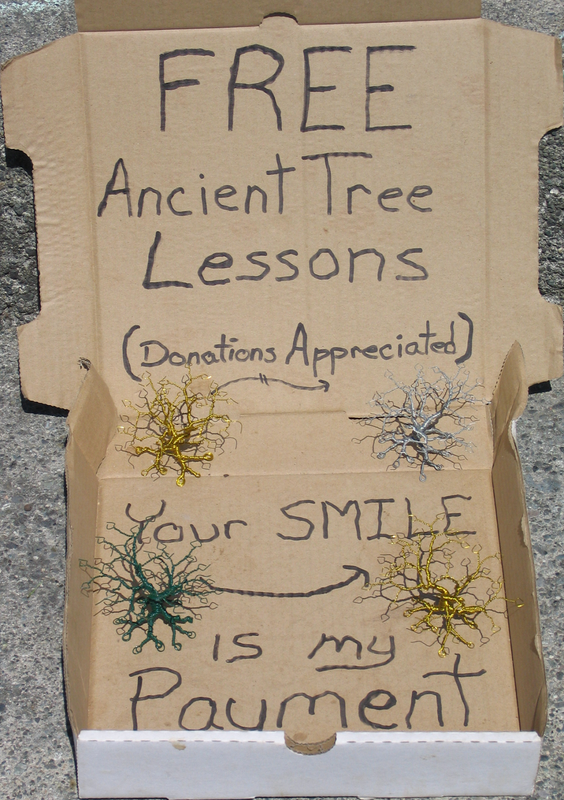 The fact, that you were extremely rude and kept interrupting me when i was teaching your grandson the Ancient Tree Lessons for free, is not what upsets me. The fact, that you told your grandson to take one for his mother and i had to tell him to; "Put it back please." is not what upsets me, as anyone can make assumptions, though it is not wise. The fact, that even when i told you the tree is; "NOT FOR SALE" and you simply asked; "Why not?" and again told your grandson; "It's OK to take it", again forcing me to instruct him to return it, making him uncomfortable, yet it is not even that which upsets me most. Nor is it even the fact, that after telling you a second time the tree was "Not for Sale to you", you still told your grandson it was OK to take it for his mother and you would; "Take care of him later. ", teaching him, you can be as disrespectful and take whatever you want from the poor and it is okay. What upsets me more than your arrogance, rudeness and lack of any social grace toward me, is that you made your grandson commit the action of the theft, because if YOU had of reached for it, i would have smacked your hand. Perhaps i should have smacked his hand for committing wrongful acts, no matter whom tells him to and to think about his own actions first, but he was just an innocent child being corrupted and not truly the one deserving of being smacked. So the third time i told him he could; "Take the tree to show his mother." Thus absolving him of any crime and mark upon his soul. YOU, however are an adult and i did not say YOU could HAVE IT. Now, if you had not also lied to your grandson and actually had come back to see me after you put him on the ferry, as you had promised him, i would have told you then what i will tell you now...I choose to teach for free. I don't have to make a tree for you. I don't have to sell you a tree. I can make as many trees as i see fit and never have to accept ANYTHING you have to offer for ANY of them, big or small. Anyone can have a free tree lesson, but i decide who gets to have one of my trees and what kind of exchange it is...not you, nor anyone else. Since you didn't posses the character and integrity, let alone decency to return to me and even introduce yourself, or apologize for your rudeness, or make any attempt to make amends in any way for your transgressions, it is clear it is you in most need of ancient Lessons. 1). You can go to your daughter and explain to her how you used her child to steal the gift she was given, and you have to take it back to the man that made it. Then you AND your grandson will return and, in front of me, YOU will explain that what you did was wrong and why. Then you will give me back the tree you stole and apologize to your grandson for lying to him and making him take something that did not belong to you. Then you will apologize to me. 2). You can pay me full price for the tree, which is $1 Million Dollars (You are lucky because the big ones start at $25 Million). 3). If you don't choose #1 or #2, i can charge you with the theft of my priceless fine art and also sue you for the price of the tree, plus pain and suffering caused by someone using a child to steal from me. Personally, i think #1 is the most just and merciful of the 3 options, but the choice is yours...for now. Welcome to the Official release of my animated short; "ancient's BIBLE". I used the open source programs; Blender and Gimp to create, model and animate the following short and Windows Movie Maker to edit it together. Please share if you enjoy it. Grace Point - Grace Lost is the Point. in a letter responding to Mr. Slawsky's lawyer's inaccuracies sent to the CRD. (That letter formed the basis of Mr. Slawsky's op-ed.) Let's make this a real discussion Salt Spring with respect for all cultures. ... I am an archaeologist with more than 20 years of experience, with specific expertise in Coast Salish funerary practices....I can offer some clarifications on the issues raised by Mr. Slawsky’s legal council in the aforementioned letter. I have a specialization in Coast Salish mortuary and funerary practices and in particular, I am one of the foremost experts in North Americaconcerning funerary petroforms (also called burial cairns), the kind of visible Coast Salish burials evident on Grace Islet...Burial cairns are arrangements of stone and soil placed over the bodily remains of the Coast Salish dead. This is one of many kinds of burial practices used through time in the Gulf Islands (Figure 1). Burial cairns are Coast Salish burial monuments. In our present day funerary tradition, headstones and other grave markers not only denote a burial location, but also convey something of the biography of the individual, and their connections to living kin, their religious affiliations, their socioeconomic status, and so forth... very complex ideas concerning kinship, and a process of making physical and historical connections to place, are invested in these funerary practices. They are sites not only marking the location of the individual dead, but together they speak to the creation of a communal place and space specifically for the dead. Incidentally, one of the cemeteries in my study was on a small islet very much like Grace Islet. archaeological features on the islet. We only had approximately 45 minutes on the islet, but I offered Dr. Acheson my professional assessment. Many of the stone arrangements that I saw on Grace Islet were consistent with funerary petroforms I have seen and recorded elsewhere in the region, including in the Gulf Islands (e.g., Eldridge andMathews 2005; Mathews 2014a; Mathews and McLay 2011), in greater Victoria (e.g., Mathews 2002; Mathews and Kilburn 2013; Mathews, et al. 2011) and in Metchosin (Mathews 2004a, b, 2006, 2014b). In total, I have seen approximately one thousand funerary petroforms—perhaps more than anyone else in British Columbia—and most of the stone features at Grace Islet are consistent in both the use of stone and overall morphology with burial cairns I have observed or recorded elsewhere. I made it clear that a detailed survey and analysis by a third-party specialist would be an appropriate measure prior to building. To my knowledge, this advice was not followed up on. I made this recommendation because there were clearly definite funerary petroforms on the islet... In the absence of systematic and accepted contemporary methods used by professional archaeologists to identify buried human remains (e.g., ground penetrating radar, soil resistivity, geochemical methods, etc. ), the burial cairn data presently offers the best and most immediate archaeological evidence for the use of Grace Islet as a cemetery. The house footprint envelops two of the burial cairns, and others are in the immediate vicinity. The observed human remains located outside of this footprint does not diminish the fact that the entirety of Grace Islet is a cemetery. This is where archaeologists should be using more sophisticated and systematic approaches, as well as looking for supporting evidence of human burial other than just skeletal remains, including the presence of stone associations such as burial cairns, the burial pit itself, personal objects sometimes associated with burials, and so forth....archaeologists familiar with the culture history of the Coast Salish ethnolinguistic area know that small islets were used as cemeteries (e.g., Jenness 1934). Finding human remains on a near-shore islet like Grace Islet should have triggered alarm bells for the involved archaeologists. It is not just burial cairns that were built on small islets. For example, just prior to and immediately after European contact, bodies were placed in wooden grave houses, wooden boxes, canoes, and even exposed on the ground surface. In these conditions, human remains would leave little or no archaeological trace (Lyman and Fox 1997). Human bone will begin to mechanically break down in as few as six years on ground surface exposure (Behrensmeyer 1978), although the specific time is dependent on local environmental factors as much as time (Lyman and Fox 1997; Lyman and Fox 1989). Given the generally shallow nature of the sediments at Grace Islet, even those bodies buried within below-ground inhumations were only one step away from being completely exposed to the agents of decay (Henderson 1987). With this in mind, hoping to find human remains by digging shovel tests, particularly when that approach is not statistically representative......the maxim “the absence of evidence is not the evidence of absence” seems particularly appropriate. This letter does not cover the full extent of the points raised by Mr. Slawasky’s legal council. But the objective archaeological evidence fully supports the assertions made by Coast Salish elders and other cultural experts that the entirety of Grace Islet is a cemetery. The burial cairns likely represent a fraction of the dead who were interred there over four or more millennia. The bodily remains of many of these people may no longer be present, or have not been identified so far, but enough contextual information exists to objectively and confidently call Grace Islet a cemetery. Unfortunately the archaeological work done at Grace Islet to date does not meet a minimum threshold of comprehensiveness and sophistication to make more specific statements concerning the number, ages, and locations of many human burials. One final point I raise is a consideration of the spaces between and around the burial cairns at Grace Islet. Each of these burials is not an entity unto itself. Each burial cairn is part of a community of the dead. Dissecting these connections with house foundations and other facilities is to destroy the relationships between these individual burials. For many peoples—both Coast Salish and Euro Canadian—connections to their ancestral dead are foundational to social memories, genealogy, history, and a sense of place. To destroy, encapsulate, or bisect Coast Salish cemeteries like Grace Islet is to effect the same outcome on their living descendants. In other words: How we treat the dead speaks volumes about how we treat the living. My response; "Blessings Briony and thank you for sharing relevant information. 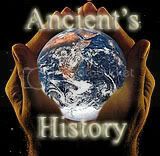 It is long overdue for people to Recognize, Re-examine and Realize they are only following and supporting Liars, Murderers and Thieves with their own claims of ownership of the Lands and Waters...That's why GOD gave it to me. 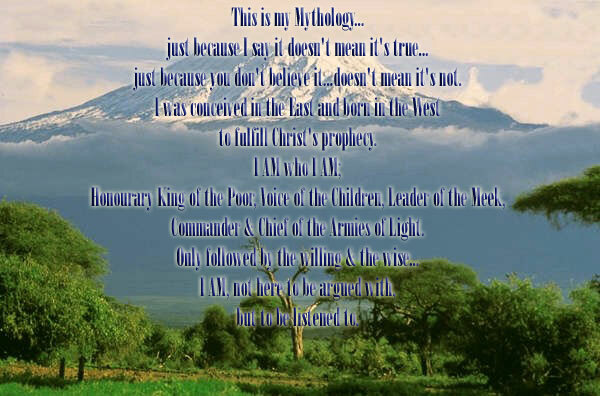 "I own all Land" and "I own all Water" (Phrases hidden in my name that i can spell it out for you non-believers). "Know, O disciple! that those who have passed through the silence, and felt its peace, and retained its strength. they long that you shall pass through it also. 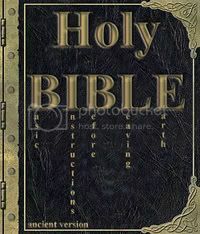 Therefore, in the Hall of Learning, when one is capable of entering there, the disciple will always find their master." It's not about me...As the Fight for Humanity continues with abuse, lies and cover-ups, while people look the other way...giving their power to the abuser's...I shall STAND against it. BEWARE: A Riddle - for those that dare. Click on picture below to learn...then share it with others. "To give a person a tree is to give them a present...But to teach a person how to make a tree is to give them a GIFT for life." "Mine is not to teach students, but to study teachers."